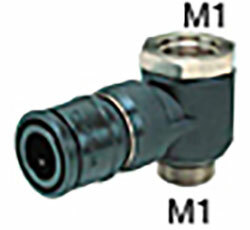 Coupling module can be used not only to extend the coupling but also in combination with the Main Block. Number of blocks can be chosen for applications. The socket comes with a stop mechanism that stops air simultaneously with the removal of the plug. © 2017 Copyright. All rghts reserved.